Getting the whole bridal party ready while looking out on the golf course was such an amazing site not to mention I was dying to run and get my clubs. 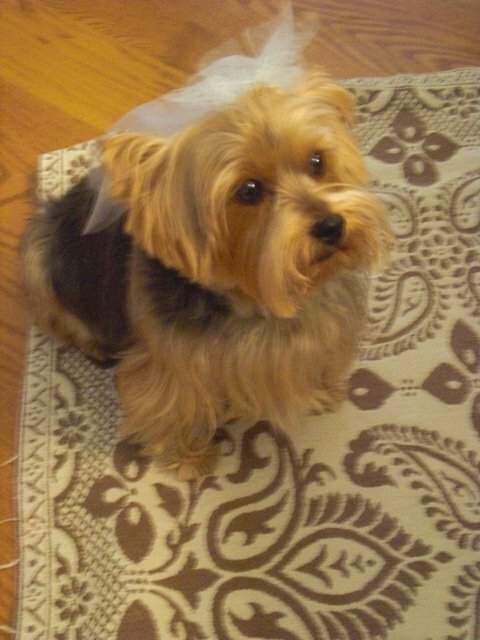 Alisha and her bridal party were so much fun, even Sadie her little yorkie wore a veil. The bridesmaids wore Melissa Sweet cocktail dresses that looked so chic, it was a nice change from the typical long bridesmaid dress. 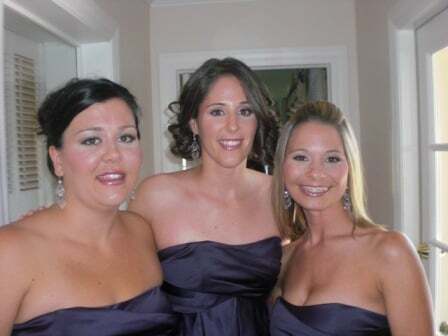 I decided on a shimmery wash of lavender with deeper shades in the same family on the eyes for the bridal party to compliment what the girls were wearing. Alisha wanted a very clean, natural look but with a touch of red carpet style so I went with a bronze shimmery palette to give her eyes a pop. She looked amazing! 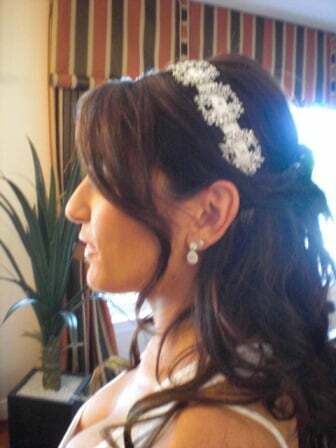 The Bride was off the next day to Italy and Greece for her honeymoon. Congratulations Alisha looking forward to seeing you back in the studio for your brows!